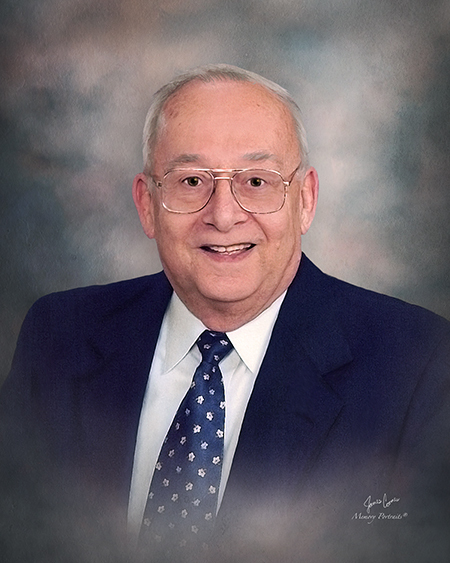 Alton William “Bud” Schultheis, age 84, of Evansville, IN, passed away at 7:58 a.m., Tuesday, April 16, 2019 at his residence. Bud was born September 3, 1934, in Evansville, IN, to Frank M. and Mildred (Kuhlenschmidt) Schultheis. He graduated from Bosse High School in 1952 and attended Evansville College. Bud was a Veteran of the United States Army where he served during the Korean War, and he was a member of the Reed Masonic Lodge #316. He was an active member of Bethlehem United Church of Christ for 45 years where he will be deeply missed. Bud served as the President of the Church Council, Usher and Greeter, Deacon, Elder, previous member of Memorial and Special Gifts Committee, and previous van driver. Bud remained actively working for over 60 years in the Schultheis Insurance Agency that was started by his father, Frank M. Schultheis. Continuing the business with this brother, Frank J. Schultheis, Bud introduced his sons, Brett and Kenan, to the family company. He was later joined by his grandson, Benjamin, making Schultheis Insurance Agency a four-generation family company. Bud loved Indiana University basketball, University of Evansville basketball, and spending time with his family. He is survived by his beloved wife of 63 years, Lois (Smith) Schultheis; sons, Brett Schultheis (Terri) of Newburgh, IN, Kenan Schultheis (Debbie) of Evansville, IN, and Chad Schultheis (Anne Marie) of Bloomington, IN; sister, Frances Ackerman of Carmi, IL; brother, Frank J. Schultheis (Judy) of Newburgh, IN; grandchildren, Benjamin Schultheis, Jennifer Morris (Brian), Emily MacLean (Aaron), Kati Schultheis, Alton Joseph “A.J.” Schultheis; great grandchildren, Weston Morris and Angus MacLean; special nieces; and many other extended family members. He is preceded in death by his parents and sister, Mary Alice Fisher. Funeral Services will be held at 1:00 p.m., Saturday, April 20, 2019 at Bethlehem United Church of Christ, 6400 Oak Hill Road with Reverend Emily Slade officiating. Burial will be in Bethlehem United Church of Christ Cemetery where full military rites will be rendered by the Vanderburgh County Retired Veterans Memorial Club. Memorial Contributions may be made to: Bethlehem United Church of Christ for their Kitchen Renovation Fund, 6400 Oak Hill Road, Evansville, IN 47725.